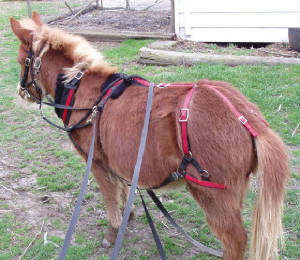 Besides giving us mini mules, Mischeif is also being trained to work around the farm, Right now we are just skidding logs, and pulling railroad ties, but hopefully she can help us in the garden. 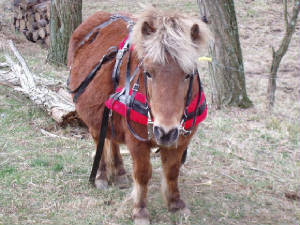 Bonnie was our first mini mule, She's in training to become a pack mule and to pull a cart. both single and double. 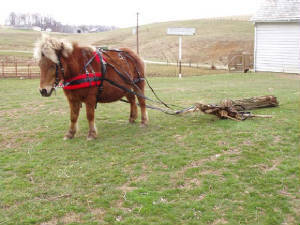 We hope to train Bonnie and Clyde to pull as a team. 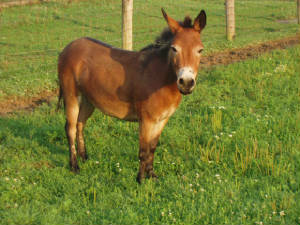 Full brother to both Bonnie and Shortcake. 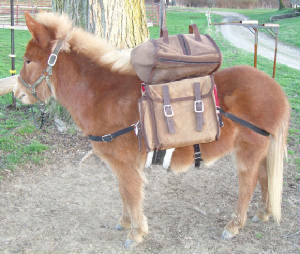 Clyde is also in training to become a pack mule and to pull a cart, both single and double. Has very high gaurding instincts.